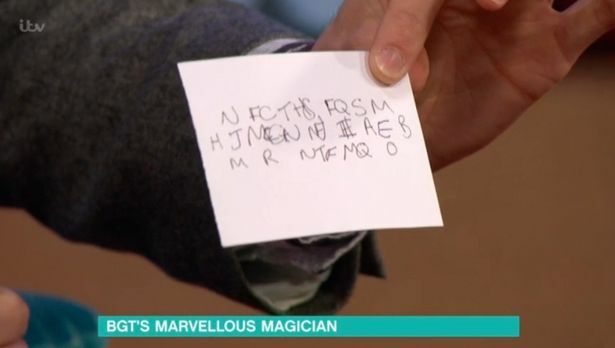 A Britain’s Got Talent magician has once again astounded celebrities with his incredible skills. 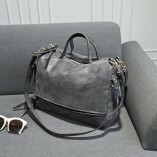 Read the article below for more information. 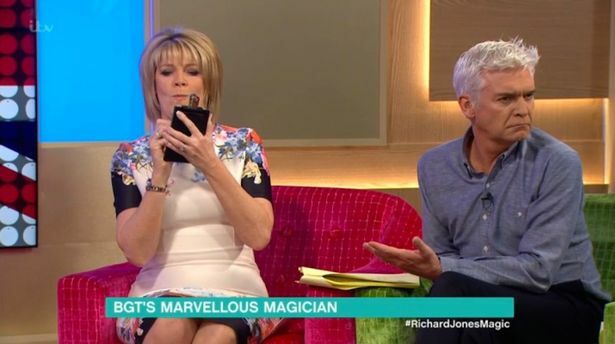 A Britain’s Got Talent magician has once again astounded celebrities with his incredible skills. 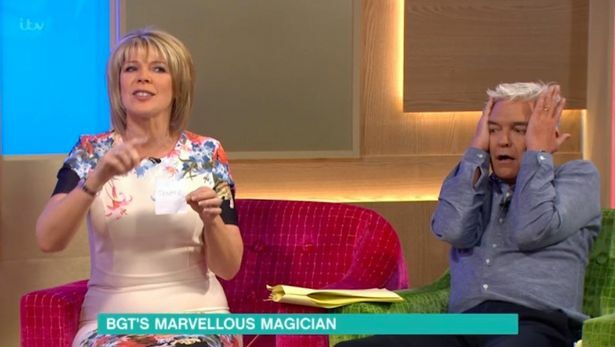 Lance Corporal Richard Jones left This Morning presenters Phillip Schofield, Ruth Langsford and Rylan Clark Neal in total shock when he did the big reveal. Speaking with Ruth and Phil about how he would have to balance being in the Household Cavalry and a famous magician, the overwhelmed Richard confessed he “never thought I would go so far”. He added that his regiment had been “super supportive” before he launched into his fantastic trick. He asked Ruth to think of a name and count to a number before he began scribbling random letters on a piece of paper. He explained he received things in ‘code’ in his mind before they formed a name on the paper, as he pulled out a lighter Richard said that it would burn away the unnecessary letters to reveal the name ‘Jennie’. 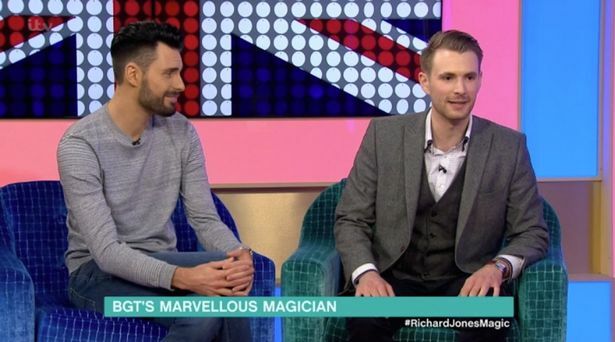 Richard appeared on Saturday night’s episode of BGT where he managed to freak out viewers, and lead Simon Cowell to admit he “believed in magic” after his jaw-dropping performance. 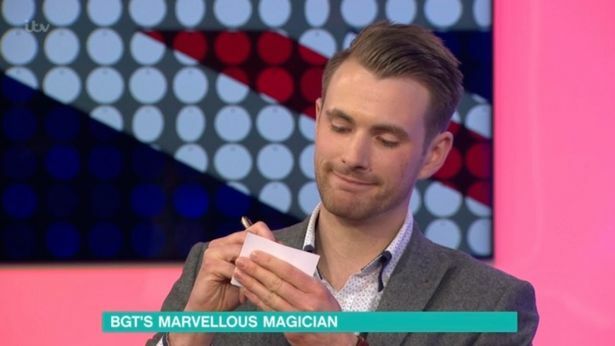 He kick-started his trick by asking Amanda to think of a male celebrity, before revealing which name she had in mind, the magician began cutting a piece of paper to produce a piece of origami art. After Amanda announced that she had been thinking of David Beckham, Richard unfolded the piece of paper to reveal a cut-out portrait of the former England captain. Richard, a member of the Household Cavalry who plays for the Queen almost daily, is desperate for the chance to reveal what the nation’s monarch is really thinking. If he won BGT he would get the chance to perform his magic at the Royal Variety Show – in which he would love to pick one of the royals to help his act. “That’s now my big goal, my ambition,” he said. For his job Richard has played in many countries including Germany, France and Switzerland. He narrowly missed a tour to Afghanistan while serving in the Paras prior to his current regiment. Having performed well at his audition in Liverpool, he now has high hopes of triumphing on the show, and plans to use Simon Cowell in his next trick. “I’d be pleased to see a magician in the final and I’d love it to be me,” he added. But showbiz success could spell the end of his days in the armed forces. “I love my career in the army, it’s what I’ve always wanted to do so I’m kind of living the dream,” he said.